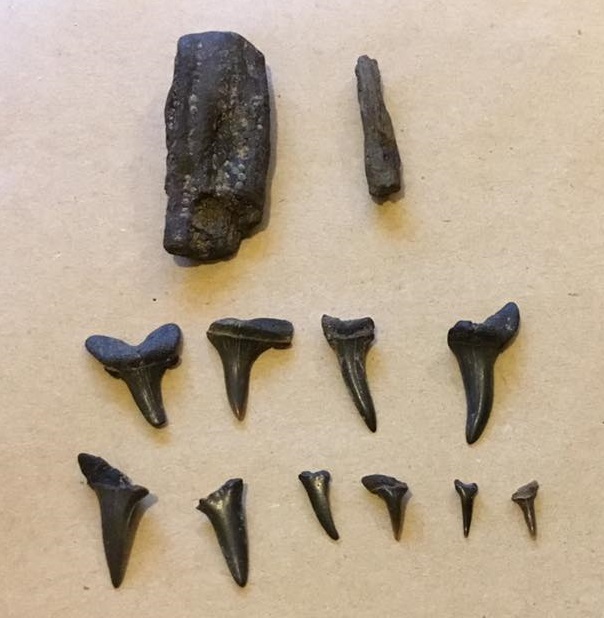 Our beach is well known for sharks’ teeth, but what else can be found? 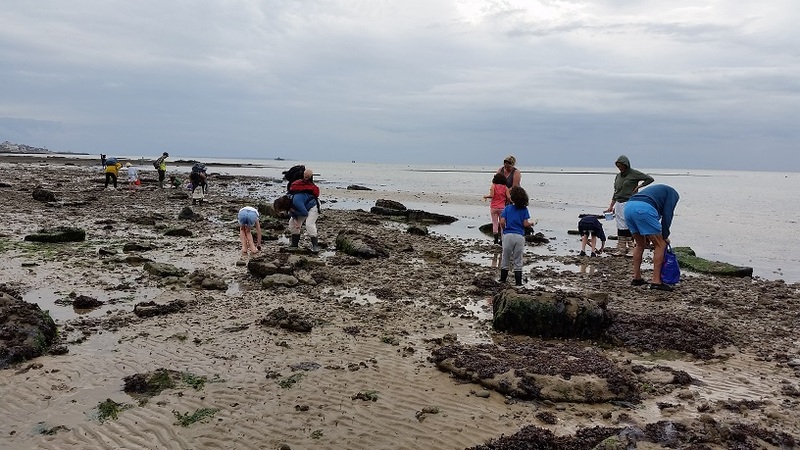 During Bayfest, a group of adults and children had the chance to find out, as they joined expert Phil Hadland for a walk along the shore at low tide. This event proved very popular, and another has been arranged for 17th September – contact the museum for further information and to book your place. UPDATE: the fossil walk on 17th September is now fully booked, I’m afraid – keep watching for further events! Our new What’s On list is now available from the museum, listing our exhibitions, talks and children’s events for the next few months. We also have another fossil walk planned, for 17th September at 3.30pm. Booking is essential for this very popular activity. 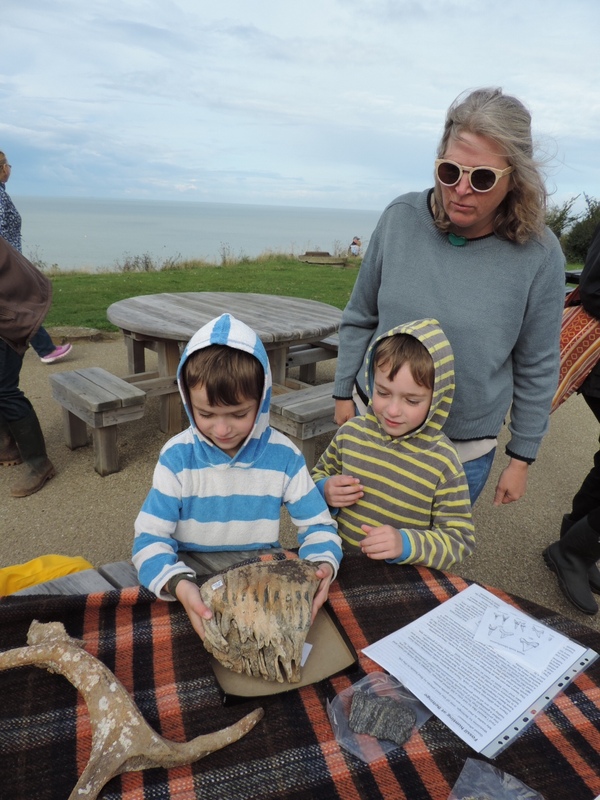 Join our expert for a walk along the beach and learn what to look out for and how to find the different types of fossils commonly found in the area. Full information is available from the museum. 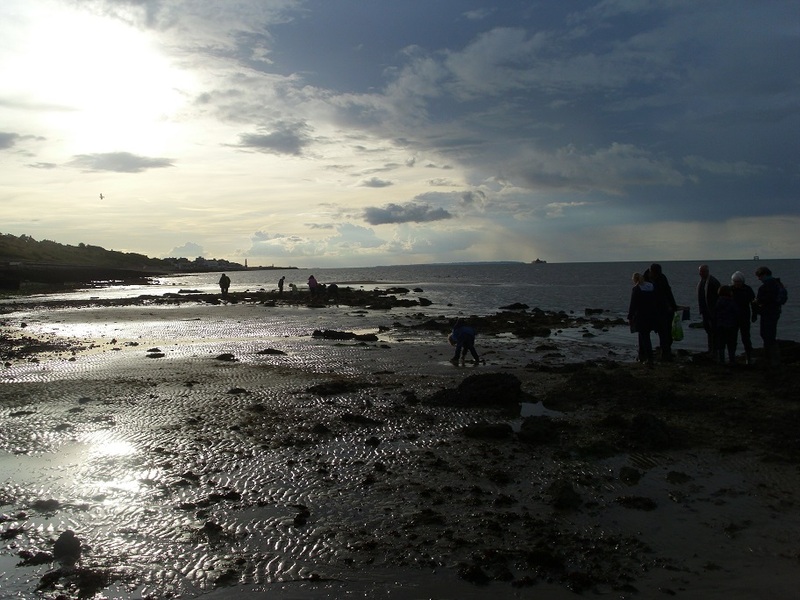 We had a great time Friday evening, seeing a different view of the town, as Ian Tittley from the Natural History Museum took us out beyond Neptune’s Arm at low tide, and showed us some of the sealife there. 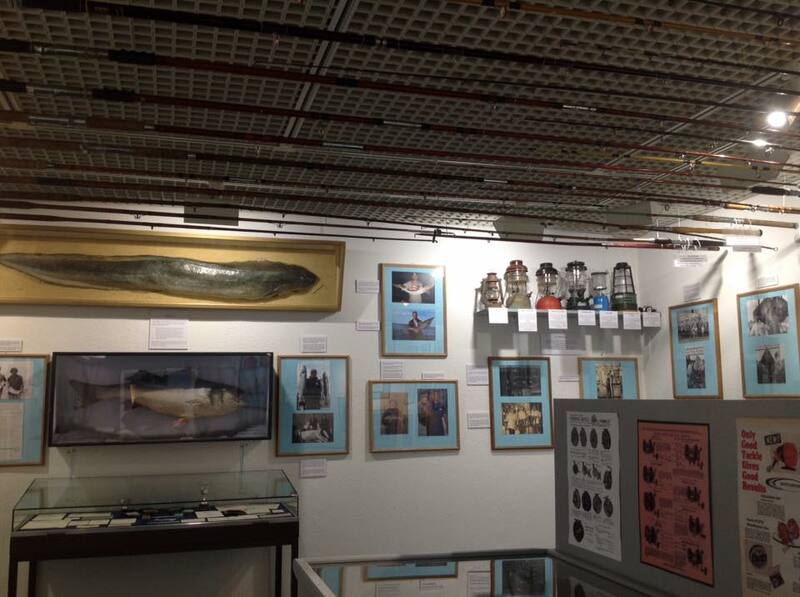 On Monday June 12th, Ian Tittley of the Natural History Museum presents a talk on Life between the tides at Herne Bay. Tickets cost £5 (£4 for volunteers) and are available from the museum. Seats are limited, so please book in advance. 6.30 for 7pm start (refreshments available). Of all the habitats in which communities animals and plants are found, none is richer than the sea shore. This narrow strip is occupied by a wide variety of life. Rock, sand and mud create quite different environments and the seashore life associated with these differ considerably. The coastline at Herne Bay in its natural form is essentially of soft clay, sand, shingle and occasional boulders; it has, however, been much altered by man with the loss of a small estuary and the introduction of artificial substrata such as Neptune’s Arm which has created a man-made reef now densely clothed by seaweeds and animals. We will look at the range of life in these different habitats including the West Brook at Hampton which contains saltmarsh now rare on our length of coast and perhaps formerly present at Herne Bay. We will also encounter species washed ashore from elsewhere, and think about non-native (alien) arrivals and their impact.